THE STORY - As two couples dine at an upscale restaurant, their polite discourse disguises the fact that they are struggling with weighty family issues. THE GOOD - Juicy dialogue delivered with power by four terrific performances. THE BAD - A bit too overbearing in its kinetic visuals. "The Dinner" revolves around a monstrous crime, so it is jarring when the movie derives comedy from a monologue on expensive cheese. The majority of the movie’s action takes place inside a fancy culinary establishment – “restaurant” would be too casual a label for a place like this – and writer-director Oren Moverman takes pleasure in mocking the pretentiousness on display. Something sinister, however, simmers beneath "The Dinner’s" façade of delicately arranged vegetables and entrees with names that most laymen would be unable to pronounce. The four primary characters have come to this “restaurant” not to eat, but to discuss a matter of tragic urgency and personal ramifications. No amount of digestif can quell the toxicity in the air as the two couples confront a tense family secret. This secret is revealed through a series of flashbacks, and it involves a reprehensible act committed by two teenage boys after a night of drinking. The boys’ parents have gathered for dinner to discuss how to navigate the wreckage. The parents are Stan (Richard Gere), a suave gubernatorial candidate who leaves the table every ten minutes to check on the status of a bill that he has proposed; his wife, Katelyn (Rebecca Hall), who simultaneously embraces and disdains the performative motions that come with being the spouse of a political figure in the midst of a campaign; Claire (Laura Linney), a cancer survivor whose calm veneer disguises fierce tactics of self-preservation; and her husband, Paul (Steve Coogan), a former history professor on the verge of cratering under the weight of his mental illness. After a forced exchange of pleasantries and several interrupted attempts to start a conversation, the two couples debate their limited options. Thinly veiled hostility carries the night, and prospects of a consensus for how to control the damage caused by their sons grow increasingly dim with each passing hour. "The Dinner" is at its best when it toys with our preconceptions. At the start of the movie, Paul, Claire, Katelyn, and Stan seem to be filling traditional roles. It appears that they will each operate within the framework of a certain stereotype, with little doubt on how they will respond to the moral complexities at hand. Oren Moverman’s screenplay, based on the Dutch novel of the same name by Herman Koch, subverts these expectations. As the drama unfolds, arguments of moral clarity and calls for deceit come from unexpected sources. Pure motivations become difficult to discern. Such ethical slipperiness provides ripe material for the actors. 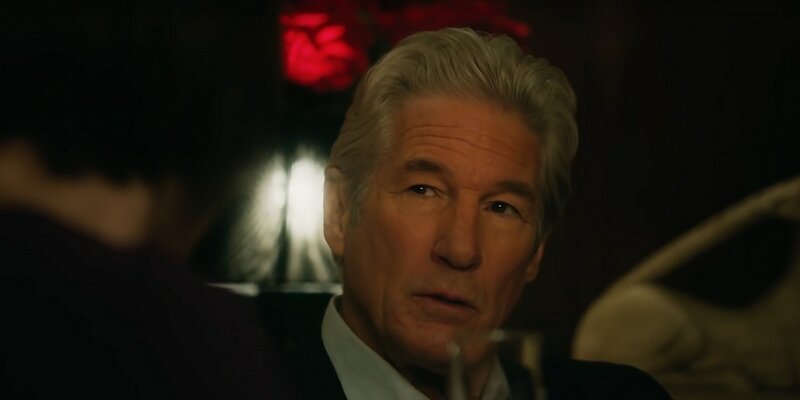 Gere exudes the torment of a public figure who struggles to reconcile his political aspirations with his responsibilities as the family patriarch. Hall peels surprising layers off of a character who aims to exert her influence over her husband’s next big move. Linney performs restrained emotional gymnastics, deftly situating the composure that her character maintains for the sake of her unstable husband alongside an encroaching feeling of helplessness. Coogan has the showiest role of them all, and he tears into it with crackling energy. All four lead actors turn Moverman’s dialogue into a thrilling sparring match. Moverman’s screenplay showcases his knack for building tension through conversation. His choices behind the camera are less effective. Visually, "The Dinner" is a bit kinetic. There are too many shots of the characters roaming in the restaurant, too many quick cuts to flashbacks. Moverman’s eagerness as a director is most apparent in the scenes in which Paul is stuck in his mind, reciting soliloquies about Gettysburg and replaying traumatic moments from his past. There is a hallucinatory visual quality to these scenes that overloads the senses, even if the intent to empathize with Paul’s experience with mental illness is clear. Moverman examined mental illness with depth and sensitivity in his screenplay for "Love & Mercy," that stellar Brian Wilson biopic, but here he treats Paul’s condition with a lack of restraint and a plethora of images and voiceover narration. Despite these flaws, "The Dinner" gathers momentum as it approaches its final hour. The climactic scenes probe questions of justice and family, well-worn themes that are enlivened by Moverman’s words and the verve of his actors. The satisfying closing act more than makes up for the sluggish first hour. And you can’t help but admire a movie that pairs vicious criminality with a funny speech about cheese.